Hello there everyone!!!! If you could see my face now it would be glowing! 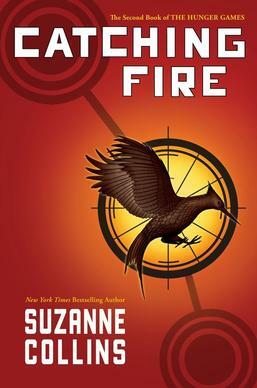 Today – a student, also living in Singapore decided to write me a review for the next book of the hunger games – catching fire! His name is Kabir Gupta and he certainly has a way with his words! So without further a due lets read the review from Kabir!!!!! “Have you read the first book of the Hunger Games series, if you have and if you are anything like me then you would have headed straight to the library and got your hands on a copy of the second book: Catching Fire. If not here’s a little something about the book to make sure you run straight to the library and get a copy. This is a fast-paced book with a lot of twists and turns that captivate you from beginning to end bringing out your emotions at good and bad news alike and force you to read the next book after. SPOILER ALERT: A rebellion is unfolding and District 13 might still exist as a secret underground civilisation that is surviving on it’s own and might be a key factor in the districts overthrowing the Capitol. Why is it so important and why isn’t the Capitol wiping it of the map even though they know it exists? Read the book to find out. For my personal thoughts I think this book is perfect for tweens and teens alike. And this comment by the The New York Times Book Review says what I didn’t have words for perfectly.